MULTI-FUNCTION BIOFERTILIZER - Coexisting strains of naturally occurring soil microbes in a unique and unprecedented concentration. OPTIMUM SOIL HEALTH - Builds soil organic matter, acts as a soil pH buffer, and provides a carbon food source for the microbes. HIGH CELL DENSITY BOOSTER - State-of-the-art fermentation based method magnifies soil potency by amplifying CFU levels of each organism to peak level. CYCLE NUTRIENTS EFFICIENTLY - Helps make macro and micro nutrients more bio-available for optimum plant uptake. ENVIRONMENTALLY PREFERABLE - Exceeds the environmental performance of traditional fertilizers. FIX ATMOSPHERIC NITROGEN - Billions of naturally-occurring bacteria that deliver freely-available atmospheric nitrogen to plants. Provides nitrogen naturally. SOLUBILIZE PHOSPHOROUS - Facilitates in promoting more efficient release, utilization and delivery of bound phosphorous. SUSTAINABILITY SOLUTION - Enrich the natural ecosystems and increase the value of our natural resources for the betterment of human kind with BIOMIX™ Organic Input Material. BETTER THAN CONVENTIONAL - Consistently proven to be a superior alternative to chemical fertilizers. DEVELOP ORGANIC FARM - Build your own state-of-the-art organic farm exceptional high quality crops. OBTAIN CARBON CREDITS - Applies to big growers only. Use BIOMIX™ Organic Input Material and get carbon credits. LESS ENERGY RESOURCE USAGE - Savings in water irrigation requirements, transport and storage costs. TREAT AND CURE YOUR SICK TREES - Revive trees that are contaminated by dangerous pathogens. TOTAL SOIL RECLAMATION - Remediation of chemical or hydrocarbon contamination in soil (no chemicals used). TURN FYM INTO LIVE TOPSOIL - Apply BIOMIX™ Organic Input Material to decomposed manure and turn it into healthy microbe rich topsoil. DUST (MITE) MANAGEMENT - Silence air/soil borne pathogenic pests by combining BIOMIX™ Organic Input Material with soil dust control techniques. TOTAL SOIL OPTIMIZATION - Get as much organic matter into your soil as possible while maintaining C:N ratio standards. CDFA - BIOMIX™ Organic Input Material is registered with the CDFA (California Dept. of Food & Agriculture) as Organic Input Material (OIM). CDFA is the gold standard for organic input certification for biofertilizers in agriculture. Visit cdfa.ca.gov to learn more. EPP - BIOMIX™ Organic Input Material was awarded as an Environmentally Preferred Product (EPP) by SCS global from 2011-2012. 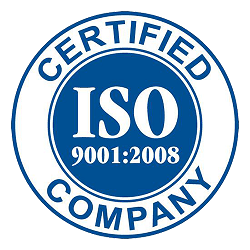 SCS Global Services (SCS) is a global leader in third-party environmental and sustainability certification, auditing, testing, and standards development. INDOCERT - BIOMIX™ Organic Input Material is certified as organic by the Indian Organic Certification Agency, INDOCERT (An accredited OMRI organization). to benefit soil health and enable the agricultural community to grow in a sustainable manner. Copyright ©2016 BIOMIX USA - All rights reserved.